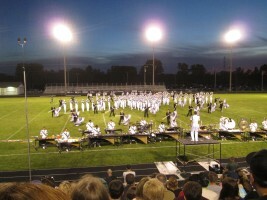 Drum and bugle corps are musical aggregations that rehearse and perform a 12-minute show in competitions at football fields around the country during the summer. The groups are comprised of brass players, drummers and guard (flags and rifle twirlers), forming a three-ringed circus with a wide variety of musical and visual elements occurring on multiple parts of the field simultaneously. Rehearsals start on an infrequent basis in December and become much more intense as summer gets closer. 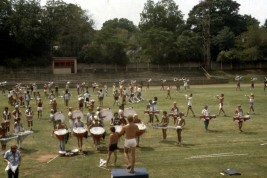 The corps go on one or two summer tours, culminating in a championship competition in mid-August. 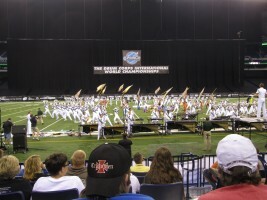 The best known organizations compete under the auspices of Drum Corps International and are composed of up to 137 young performers with a maximum age of 21. 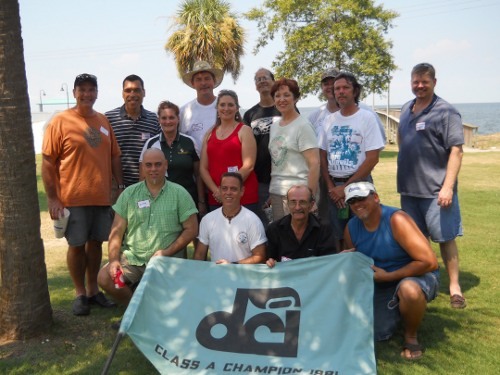 Drums Corps Associates is a similar organization that includes "senior" corps without an age limitation. Drum corps is a subculture that, despite it's vibrancy, remains largely unknown by the world outside the cult. For its enthusiasts, it can often be an obsession. Indeed, the experience of drum corps both for observers and participants is driven by the raw sexual energy of 137 teenagers traveling around the country and performing for screaming crowds. It is an acquired taste, but an addictive one. Despite the fact that I found much of the experience distasteful, I marched drum corps, not once, but three times: the 1980 Blue Stars, the 1981 Louisiana Southernaires and the 1984 Madison Scouts. As with many things in life, the memories are pleasant, but become somewhat more complex upon deeper reflection. I have not kept in touch with any of my colleagues from these organizations, although they sporadically return to my thoughts at odd times. I came upon these slides and audio recordings at my parent's house over Thanksgiving in 2004 and decided to pop them up on the web in case anyone else is interested. To these colleagues, I salute you and ask your forgiveness for the often disrespectful behavior of my younger days. I'd love to hear from any of you that would care to write. Finis Coronat Opus, The South Will Rise Again, and May You Never Walk Alone.